Rumours surround the Sabres' Evander Kane and Robin Lehner, as well as free agent Drew Stafford. Free agent forward Drew Stafford is one of few quality options left on the free agent market, and negotiations with Boston, the team that added him at the deadline, continue. 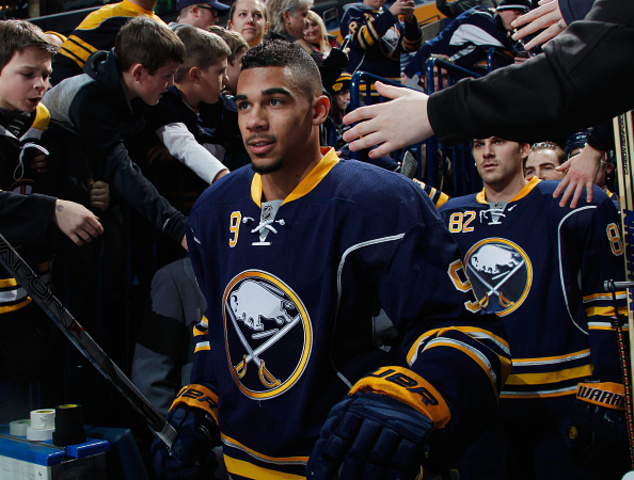 Evander Kane: things seem to have cooled off significantly after the draft. There was a strong sense a team like the Kings was going to end up making a trade for Kane, but that's been shelved - for now. Kane isn't the only winger the Kings are after, with names such as James Neal and Gabriel Landeskog high on their list. With multiple teams involved and no upcoming pressure points, it's no surprise all parties are taking their time. Another name on the trade market for Buffalo is goaltender Robin Lehner. Rumours that the Sabres weren't entirely committed to the arbitration-bound goaltender begun to emerge when GM Jason Botterill took the helm in May. That speculation has, for the most part, gone quiet. Simply put, there are very few alternative options for the Sabres right now. Their best chance to upgrade in net would have been on the free agent market, which has since dried out entirely. Few options exist on the trade market as well, unless the Sabres want to pry away a Jimmy Howard or Jaroslav Halak - lateral moves that would cost an asset. The Sabres-Lehner marriage is likely to continue for the time being - but a lot depends on how the upcoming arbitration hearing plays out. Apparently Ilya Kovalchuk was never really close to returning to the NHL - no teams made offers to the Devils, who hold his rights.